Hi Friends! 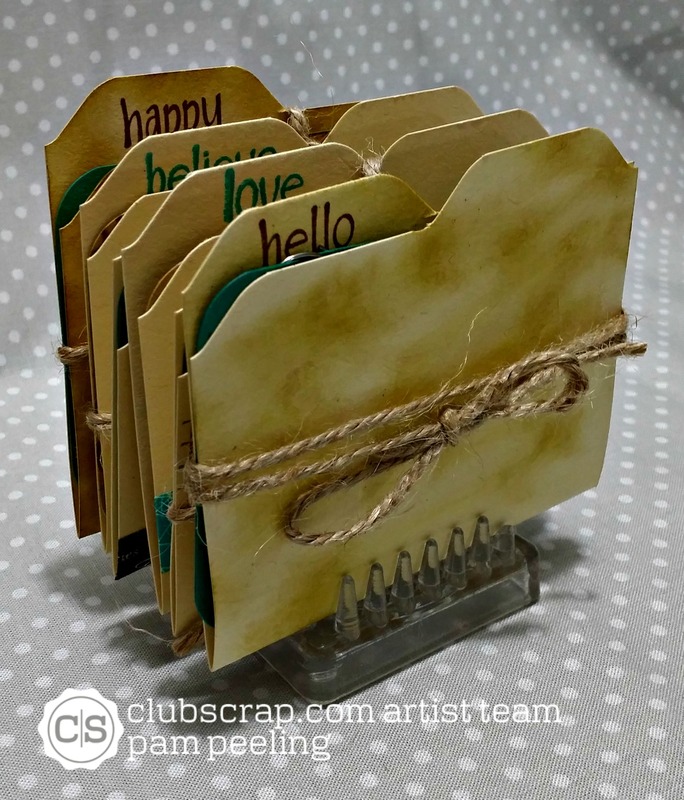 July's Club Scrap kit is called Office Space. 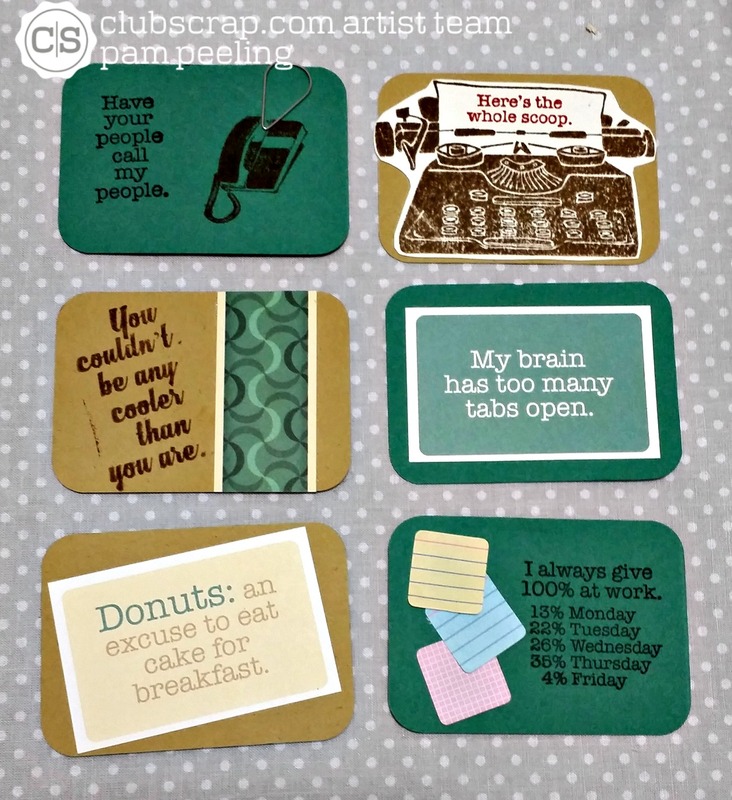 It's full of retro patterns and colors and images of staplers, phones and rolodexes-so cute! I decided to play with some ATCs. 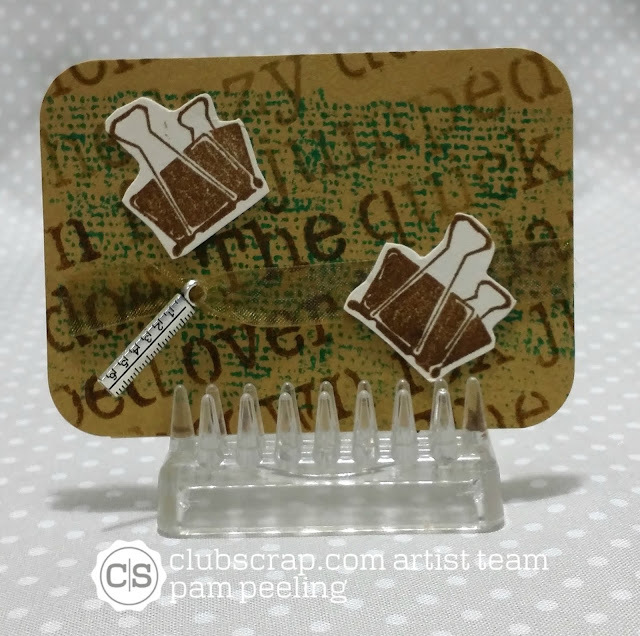 The Club Scrap Artist Team challenge for this month is ATCs but I love them so much I decided to make more! 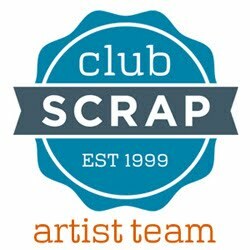 Stop back on 7/29/16 to see my Artist Team Challenge ATCs! 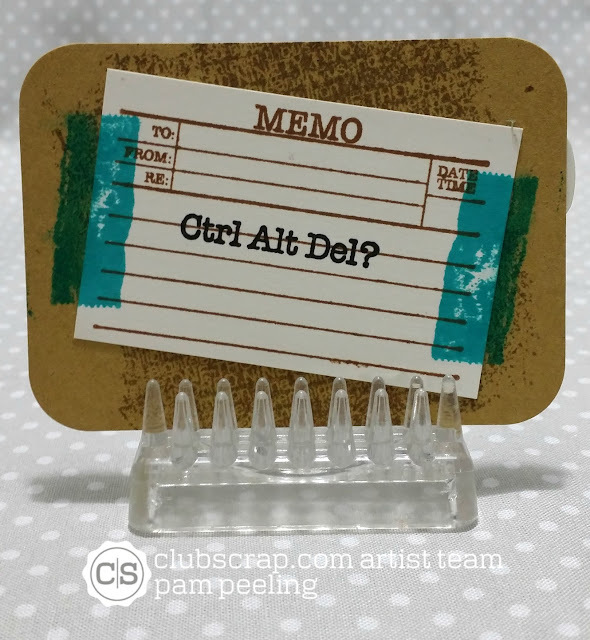 I also love mini file folders and decided to make one for each ATC I made. They were perfect for this kit! 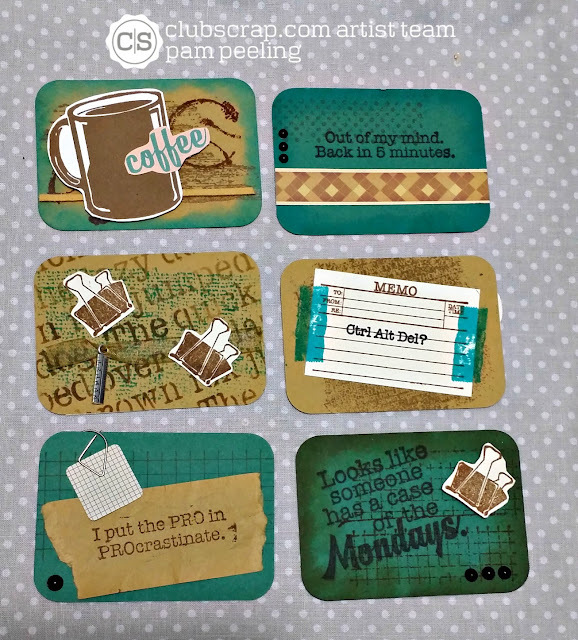 I used an envelope punch board to make the folders. I made the file folder covers all slightly different. I used jute twine to tie them up. The back sides! I love the color scheme with this kit-love that teal! The little memo stickers are awesome and come in different patterns. 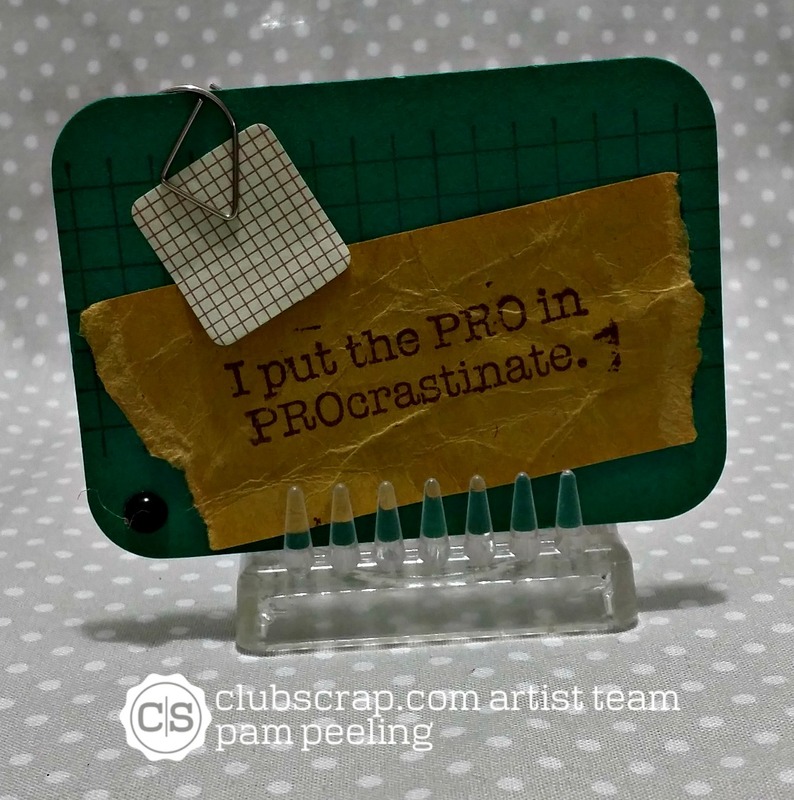 I used the stencil that came with the kit to make the background on this one. Love those little ruler charms too! So much fun! 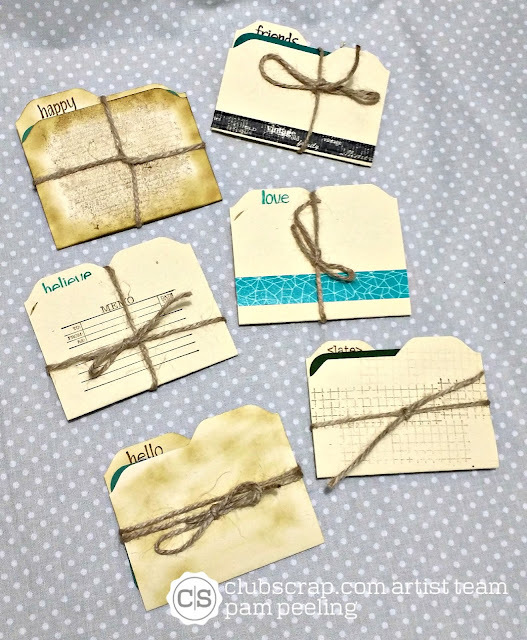 I can't wait to see what you created for Friday's blog hop. So glad you enjoyed the challenge. Oh, these arte tooooo cute, Pam. Love the little file folders. Can't wait to see what you have created. 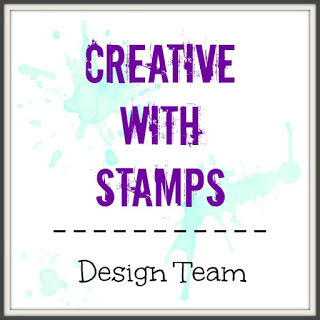 All here are fun and creative!